Imagine a left-wing voter who tunes into MSNBC exclusively for all political updates. Envision an office team made up entirely of white, heterosexual males. Picture a religious studies course that was only taken by students who follow Hinduism. If any of these situations seem static and uncomfortable, that’s because they are. History shows us that learning and innovation are at their peak when diversity is allowed to flourish. The left-wing voter can open his mind to different political positions by debating with a conservative. The office team can come up with original ideas and products that tailor to larger parts of society by including women, people of color, and LGBT coworkers in the process. Religious studies students would be able to have a deeper understanding of material by hearing the experiences of students who hold various beliefs and values. The former situations provide conflict-free environments where it is virtually impossible to be offended. The latter situations, however, may contain high risk of offense, but yield environments that encourage growth and progress. In the wake of the Charlie Hebdo attack in Paris, which left 12 journalists from the satirical magazine dead after an attack by two self-identifying Islamic terrorists, the dangers of a free press naturally have been brought into question. Is there a line the press should not cross when it comes to satire? Were the cartoons too inflammatory and in turn too risky to publish? Should material this provocative be discouraged for the safety of society? Limitations on the press sound comforting at first. We don’t run the risk of exposure to inflammatory and offensive journalism. Everyone minds their own business without ever challenging each other’s ways of thought. No harm, no foul. But an offense-free press is also a static one. 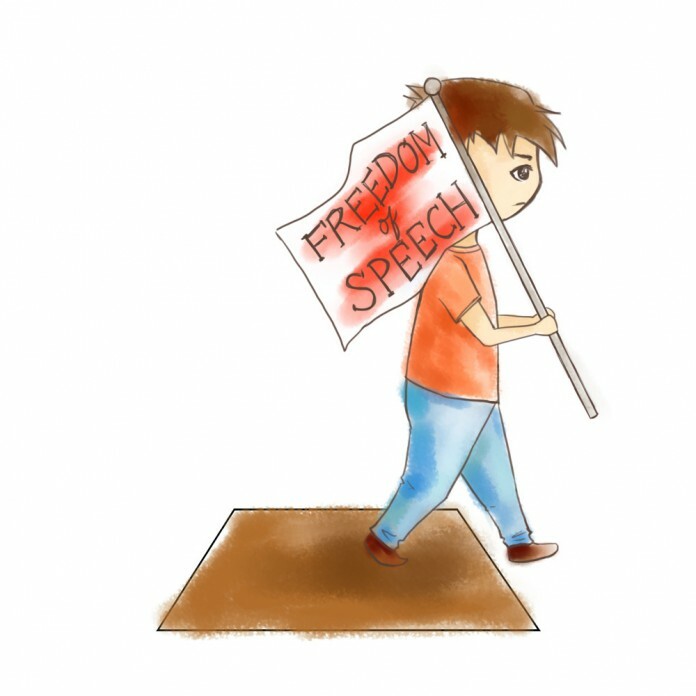 By protecting all freedom of expression, we allow our civil society to continue to grow and our opinions challenged. In a postmodern society such as our own, who is to say what is deemed controversial and what is not? When artists, journalists, and satirists are unable to tread controversial waters to challenge societal norms, we run the risk of living in an extremely shallow environment. When social commentators are given limits and boundaries, their commentary will inevitably remain in our comfort zone. By providing “safe” news and steering away from the controversial, journalists would be doing the public a large disservice. In the case of Charlie Hebdo, which is no stranger to political controversy, the satirists were doing just that: satirizing. Their blatantly over-the-top cartoons have a history of targeting groups across French society; Christians, Jews, and Muslims have all had their turn being lampooned by the magazine. In other words, the magazine had no agenda of inciting violence or hatred for a certain demographic. Their motivation was not one of malice but one of public discourse. Satirists such as the late writers of Charlie Hebdo use their medium to remind people of different faiths and values of the faults we all possess. Solutions to the tragedy shouldn’t be focused on creating barriers to free press but on creating more healthy forums for public discussion instead. A public who is shielded from extremity is far weaker than one which tolerates its neighbors. Many controversial topics in journalism that are viewed as going “too far” often touch on issues in our societies that are unresolved, which are arguably the most worthy to debate and reflect on. Even in its most devastating hour, Charlie Hebdo ironically has spurred dialogue and civic engagement around the world. For students at the University of California, Santa Barbara, the attack should serve as a catalyst for tolerance and unity. One quick walk down the SRB and our campus’ diversity is more than evident. Students from all walks of life, religions, cultures, countries, orientations, and backgrounds call UCSB home. It is when this diverse student body interacts and engages with one another that our consciousness will grow as a community. In a time that freedom of expression is being challenged around the world, we must not hesitate to practice ours.